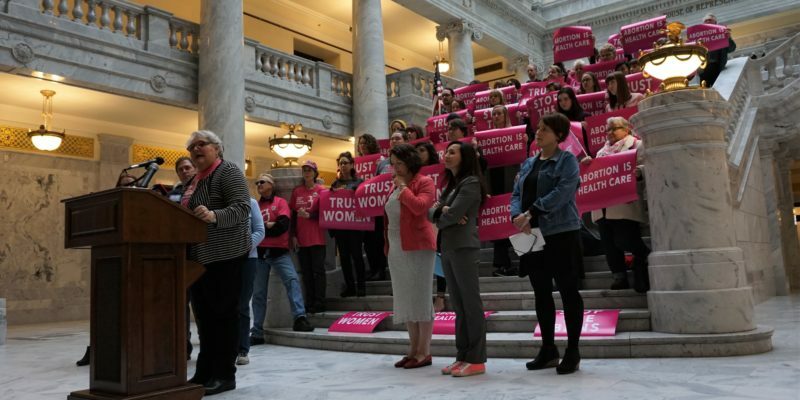 Pro-choice and women’s rights activists rallied at the state capitol as the American Civil Liberties Union (ACLU) of Utah and Planned Parenthood Association of Utah (PPAU) announced a lawsuit against the state of Utah for H.B. 136 at a press conference Wednesday, April 10. H.B. 136, which bans abortion after 18 weeks for women in Utah, was passed by the Utah legislature. The bill, sponsored by Rep. Cheryl Acton of West Jordan, was signed into law by Governor Herbert on March 25. Under current Utah law, women are allowed to get an abortion within 22 weeks, but clinics draw the line at 21 weeks to avoid unknowingly violating the law. The ACLU and plaintiff PPAU will be filing their case in the U.S. District Court for the District of Utah, Central Division, in Salt Lake City. Without intervention from these organizations, H.B. 136 would go into effect May 14, 2019. The ACLU and PPAU are filing a preliminary injunction that would prevent the state from enforcing H.B. 136 while the legal challenge continues. If the preliminary injunction is issued by May 14, H.B. 136 will be put on hold until the case against the State of Utah closes. 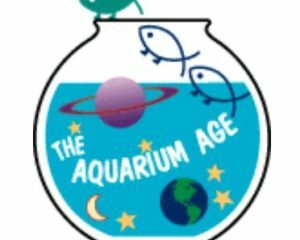 In 1991 the ACLU, PPAU and the Center for Reproductive Law and Policy sued the state of Utah over a similar bill that would have banned abortion at 22 weeks. These organizations ultimately defeated that bill. Farrell further noted that in Whole Woman’s Health v. Hellerstedt, 2016, Whole Woman’s Health won their suit against the state of Texas after Texas attempted to place severe restrictions on abortion clinics. 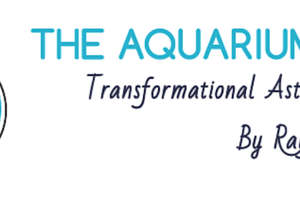 Karrie Galloway, executive director of PPAU, stated that H.B. 136 “puts medical decisions in the hands of politicians rather than the woman and her doctor,” and targets “women and families that are the most vulnerable.” She said that instead of pushing a bill forward that is unlikely to stand up in court, the state of Utah should focus on improving women and children’s healthcare by advancing Medicaid expansion and , looking for ways to reduce Utah’s high maternal mortality rates, and implementing programs that would reduce air pollution that causes miscarriage. Galloway expressed concern over current restrictions in Utah, including most recently the state-mandated online consultation session implemented by Utah legislators in January, and the fact that there are currently only two abortion clinics in the state, both of which are in Salt Lake. Because very few abortions happen after 18 weeks (about 7.6 percent in 2015 according to the Centers for Disease Control and Prevention), she believes that Republicans are hopeful that this bill and the many other ongoing anti-abortion cases will become vehicles to the Supreme Court with the end goal of a federal abortion ban. H.B. 136 is one of more than 260 anti-abortion bills that have been introduced in the U.S. in 2019.